Some of the original tiny houses were not built for Instagram-worthy photos, but for basic shelter from icy winds and harsh weather. 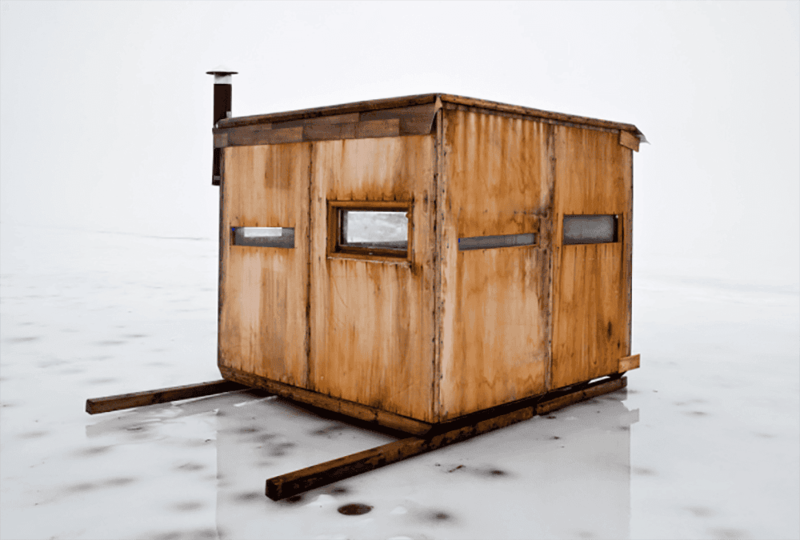 The ice shanty or ice fishing house (also known as a fish coop, darkhouse or bobhouse) is popular in northern communities where ice fishing is a major winter sport. 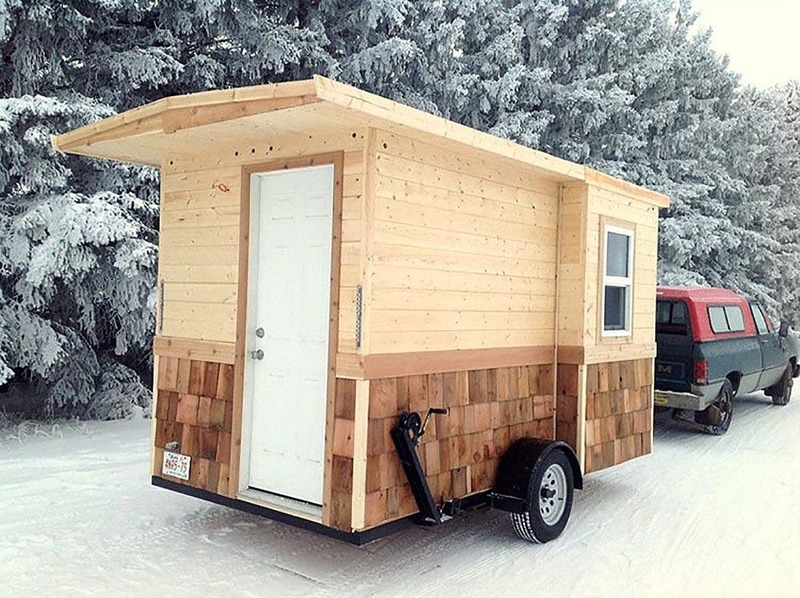 This towable ice fishing shanty was built by a tiny house contractor in Alberta, Canada. 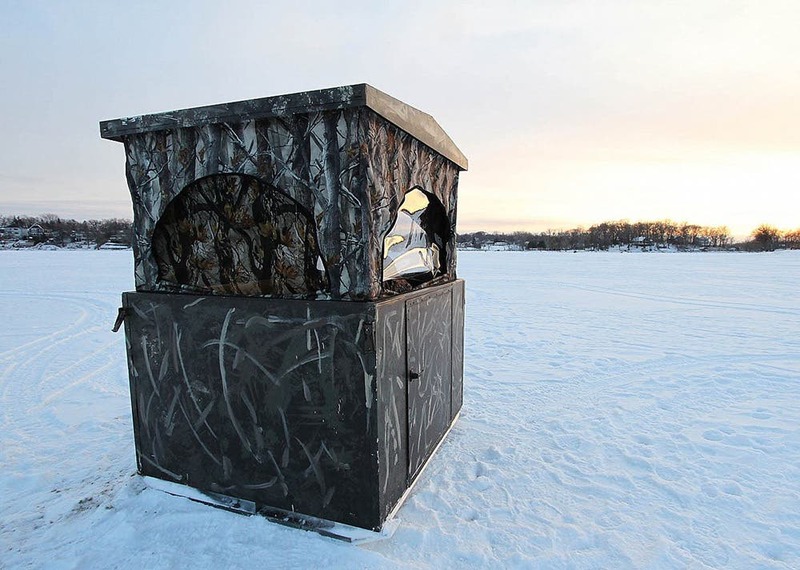 The ice shanty is placed on top of a frozen lake over a favorite fishing hole drilled into the ice. They can range from a simple structure made of 2x4s and a tarp to a full-on house complete with running water and beds. Most of the time they are just a simple way to stay warmer while keeping an eye on a bobbing fishing pole. Many ice fishing houses are painted in humorous ways (e.g. tropical scenes in the middle of the Canadian wilderness) and are made into personal hideaways that reflect each fisherman’s (or fisherwomen’s) style. Some ice fishing houses are elaborate and recognizable by other other ice fishing fans. 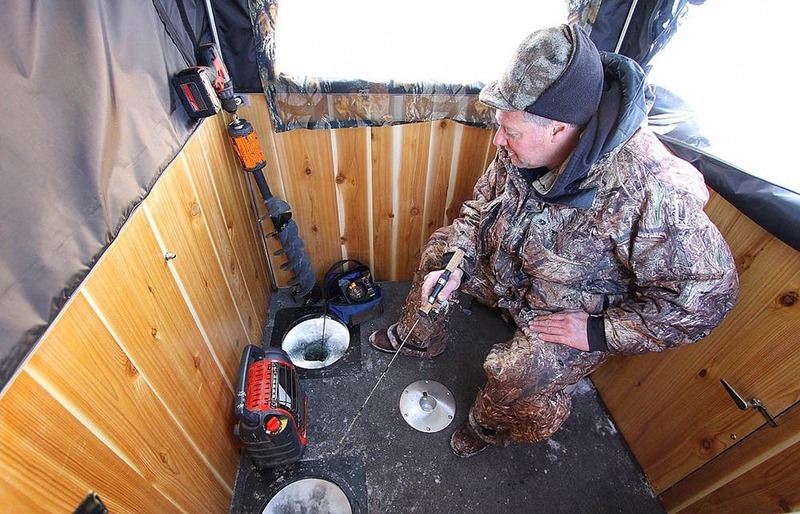 Some ice fishing houses are more simple, but still effective. 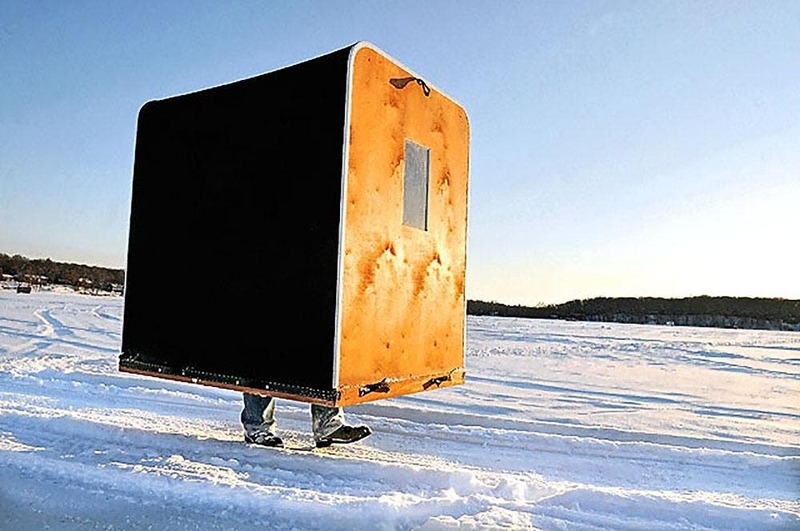 Dave Novak of Minnesota builds portable fish houses that can easily be moved between ice fishing holes. 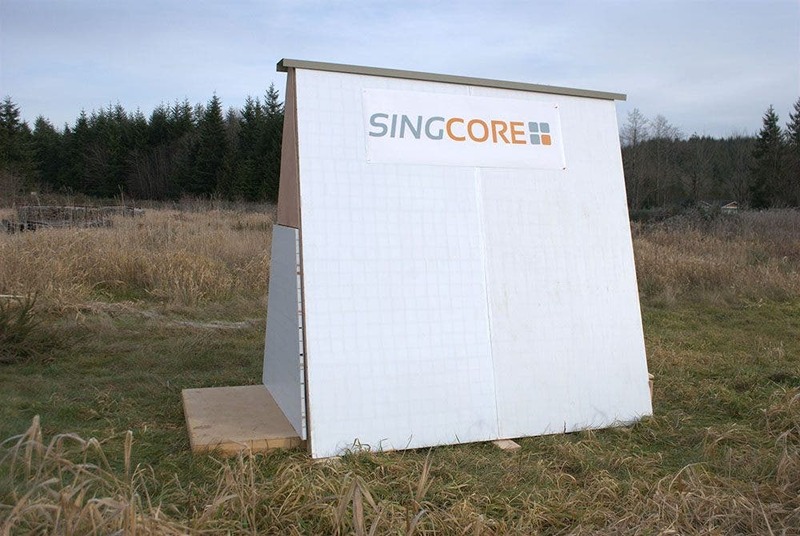 This simple fish shack is made with composite panels from SingCore. 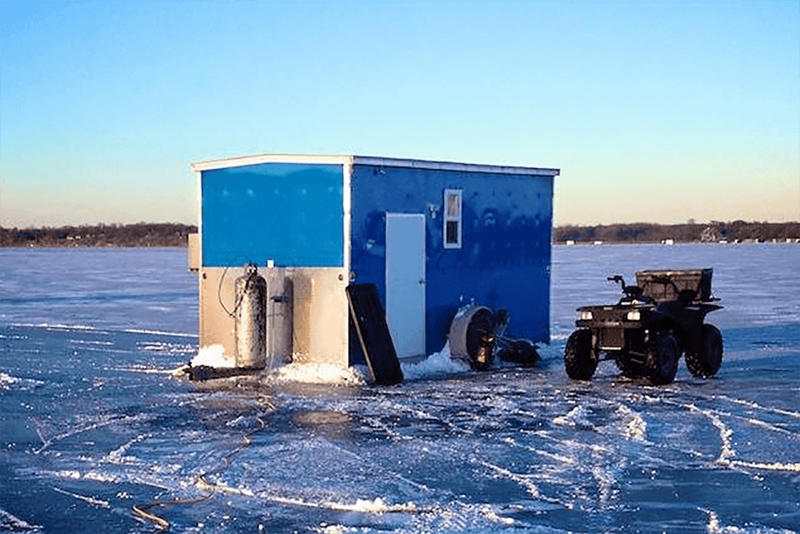 The construction of ice fishing houses needs a little more consideration than your typical hunting blind or lakeside cabin. They can’t be too heavy or they can break the ice. It’s helpful if they can easily be moved from the shoreline onto the lake and back again; having wheels or skids are part of a good ice shanty design. Some newer, lightweight designs can easily collapse down into a box or suitcase. In fact, various ice houses can be purchased online from FishHouseList.com. 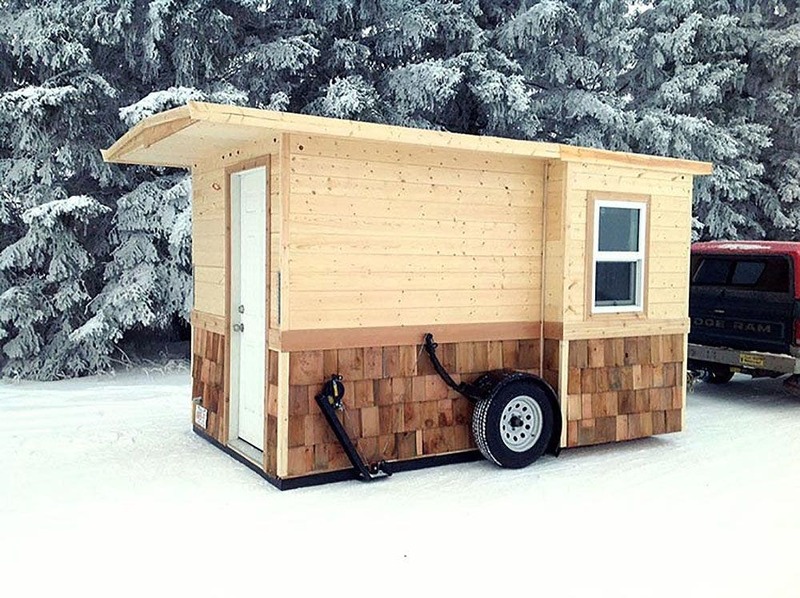 The website includes large ice fishing/toy hauler castles to simple ice fishing shack rentals. …and some are a little more basic. This fish house does double duty as a hunting blind in the summer and fall. Wisconsin architectural photographer, Mike Rebholz, photographs the annual ice fishing sport on the state’s wintery lakes. His photos are featured on his website where he focuses on design as well as the tight knit community of ice fishing. 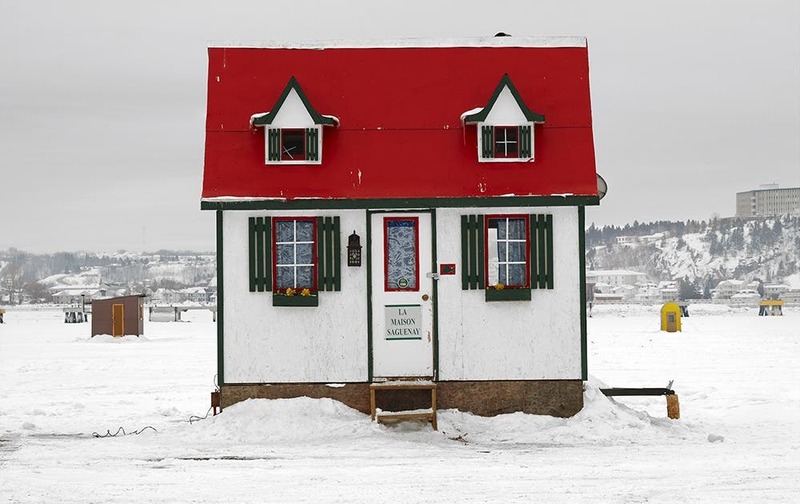 Richard Johnson of Canada also photographs the colorful and charming ice fishing houses of the north’s frozen lakes. While this one from Eskimo can be packed in and popped up. I love how some of these fishing ice huts are made so creatively and useful. 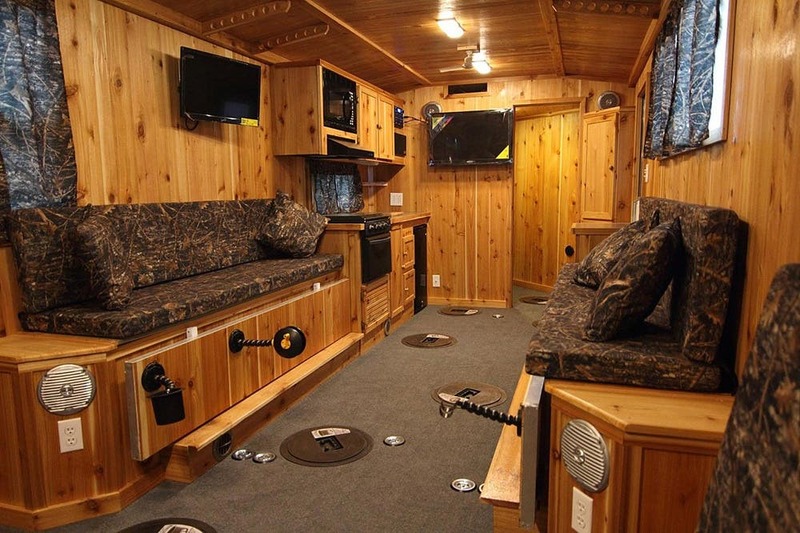 The one with the portable fishing house is simply outstanding as he can easily move between the holes while keeping warm as you’ve mentioned. This article is really luring me in to going out with my kids and renting an ice hut for some ice fishing. I’ll have a go and ask them out later so that we can enjoy this seasonal activity. Thanks for the interesting and original ideas for ice fishing houses! Those are all cool ideas for a fish house. 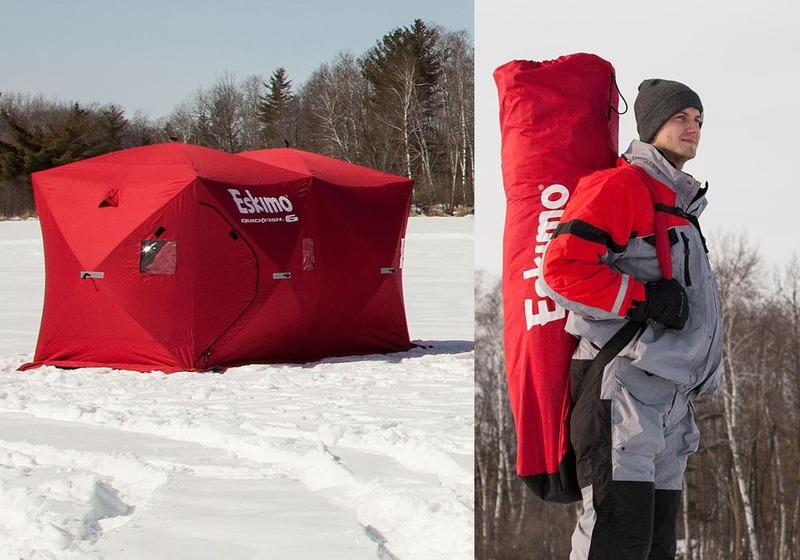 I like the idea of learning to ice fish this winter and I want some good cover while I do it. I’ll have to look into renting something similar to one of these. It’s interesting to know that ice fishing shelters are popular in areas where ice fishing is a major winter sport. I suppose if I buy a similar one online for my ice fishing vacation, it might help me stay warmer. Maybe I’ll choose one that has a lightweight design so that I can move it around while making sure that it won’t break the ice below me.